It’s no hidden secret that food affects how we feel, look and think. Consuming foods rich in antioxidants, healthy fats, vitamins and minerals not only fuels us physically but mentally, it helps us grow new brain cells and wards off illnesses like depression and dementia! Here’s five foods that help boost your brain power. 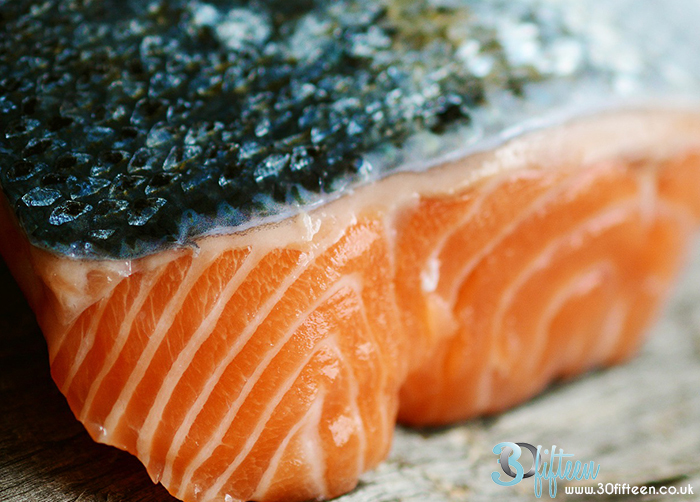 Thanks to its high concentration of nervonic acid (a monounsaturated fat) and omega-3 (a polyunsaturated fat) both of which help insulate and stimulate brain cells – consuming salmon can increase your focus, allow you to absorb information better, as well as help fight depression and anxiety. Full of magnesium, a mineral responsible for stimulating brain growth and controlling blood sugar. 1 cup of lentils is also 90% of your daily recommended intake of folate – a vitamin responsible for producing neurotransmitters such as serotonin, dopamine and norepinephrine to regulate your mood, sense of pleasure and clarity! Fermented foods make for a happy gut, but you might be surprised to learn probiotic ric foods also support brain function. Bacteria in the gut produces two essential neurotransmitters, serotonin and dopamine. This high concentration of Vitamin K in this leafy vegetable, ensures you brain receives oxygen and helps insulate brain cells. This super spice gets its signature yellow hue from curcumin, a potent anti-inflammatory ingredient that prevents plaque buildup in the brain. What’s your go-to brain food? Let us know in the comments. Enter our Lucky Dip Competition to get your hands on FREE 30Fifteen Merch!